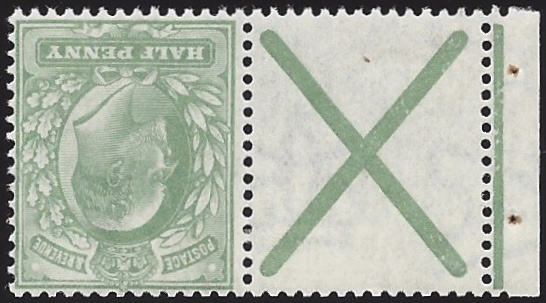 1902 ½d Yellowish Green, SG 218A INV. A CROSS ATTACHED PAIR, watermark inverted. Lightly mounted mint with selvedge.